Blu Ripples Personality Profiling (Testing) Services recognises that many clients struggle with understanding themselves, their team members and loved ones on a fundamental level and thus struggle to make decisions, communicate and inter-relate effectively. 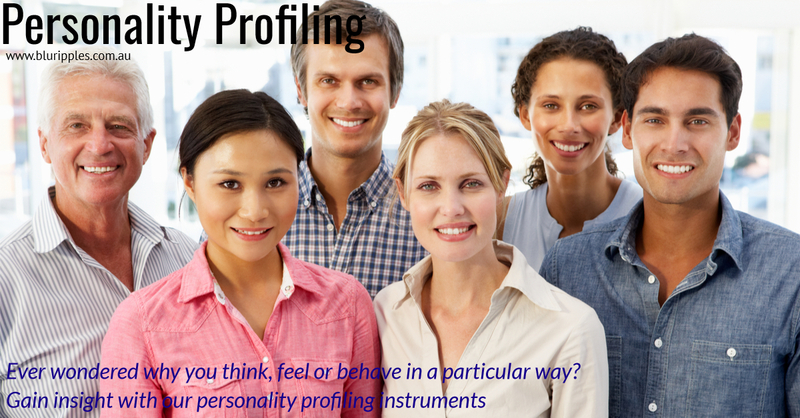 HOW CAN PERSONALITY PROFILING (TESTING) HELP ME? Personality Profiling (Testing) is an extremely powerful, comprehensive and insightful tool that will provide you with an arsenal of personal and professional resources to understand oneself and others in terms of perceptions, thoughts and behaviours. For more information on each personality profile please click on the links above. since obtaining her professional accreditation in 2005. Katherine is a Professional Member of the Career Development Association of Australia, a Member of the Australian Counselling (ACA) and Australian Association for Psychological Type (AusApt).